The Forumbee plugin for Front makes it easy to send knowledge base articles and community posts to customers when you are responding to their messages from Front. 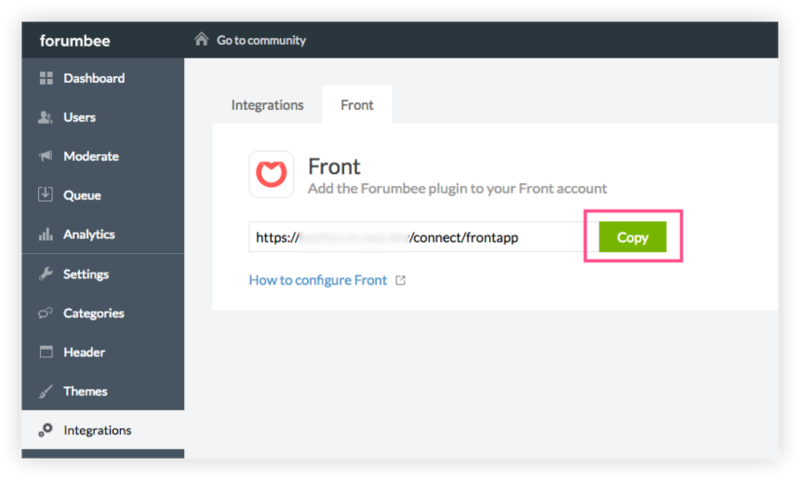 In your Forumbee account, go to Admin > Integrations and select Front. Copy the URL provided on that page. 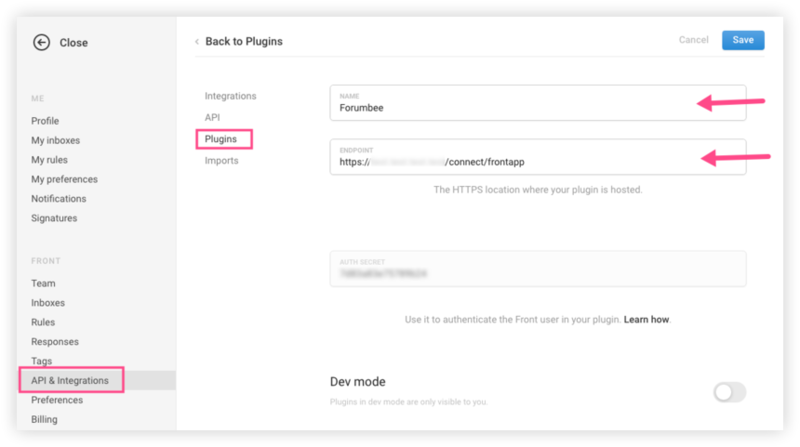 In your Front account, go into your Settings and select API & Integrations > Plugins, and Add a plugin. For Name, enter Forumbee. For Endpoint paste the URL you copied in Step 1. Click Save. Your plugin is now configured! You can now search for Forumbee posts directly from Front and add them to your replies. The plugin supports searching for public articles and posts only. Private communities are not currently supported. Hi there, I've enabled the integration between Front and Forumbee, however when I search for an article and select it, it copies the article's URL into the email body, not the article title like it does in your screencast gif. How can I update it so clicking on the article doesn't add the URL to the email body? Hi Brooke Hahn , if you are working with a newly composed draft, the URL will be added. This is due to a current limitation with how drafts work with plugins. Replying to inbound messages should work as expected, adding in the hyperlinked title. Let me know if that method is working for you. Thanks! Brooke Hahn Yes, it should be working (adding a hyperlinked article title) if you reply to an inbound email. Check to be sure you have the plugin configured in Front as shown in Step 3 above and that "Dev mode" is disabled. If you are still having an issue, please follow up with Front and let us know if we can assist. Thank you!